TIAG members throughout Latin America met last week in beautiful San Juan, Puerto Rico, to discuss and exchange information about various topics including the importance of multidiscipline alliances, the do’s and don'ts of succession plans, new trends in outsourcing and other specialized services. 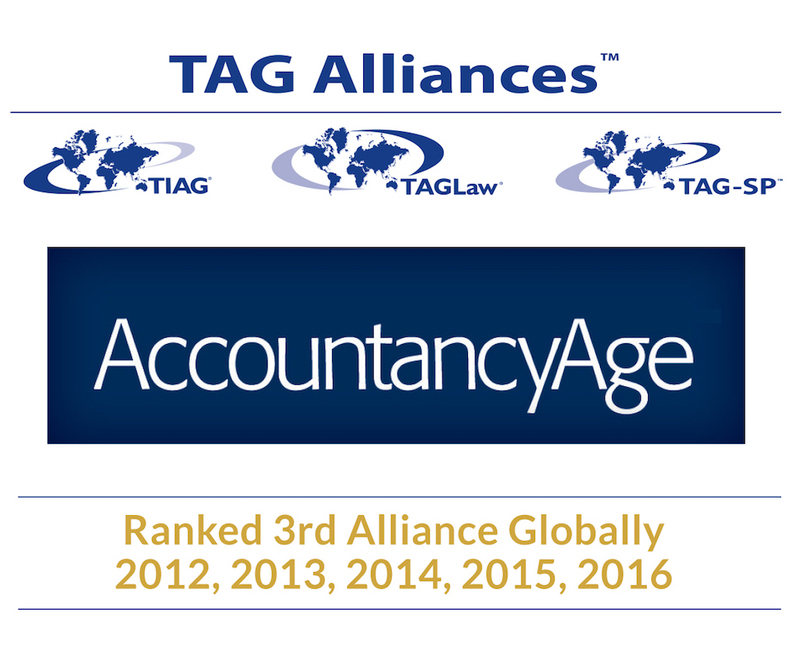 For the fifth consecutive year, Accountancy Age Magazine has recognized TAG Alliances as one of the top three accounting associations in the world. The rankings, which are based on the collective revenues of the member firms, include 20 associations and alliances. This year, TAG Alliances President Richard Attisha’s interview with the magazine provided the report's theme: "Firms switching networks like a game of ‘musical chairs.’"
Cabinet Abdellatif El Quortobi was established in 1999 by Mr. Abdellatif El Quortobi, after accumulating 15 years of professional experience in Morocco and abroad, including 11 years as a Director at a Big 4 firm. In addition to his duties at the firm, Abdellatif is the President of the Board of the Moroccan Registered Auditor’s Institution, the body in-charge of regulating the audit profession in Morocco. The firm is full-service (audit, tax, consulting and some legal services) and serves dozens of multinational companies in addition to local businesses. The firm is also involved in a number of professional and community organizations including: American Chamber of Commerce (AMCHAM Morocco); Moroccan Institute of Directors (IMA); ROTARY and the local educational system. In addition to their standing membership in Ohio, Cohen & Company has joined as the official TIAG member for Detroit, Michigan. As one of the top 75 firms in the United States, Cohen & Company encompasses exceptional, nationally recognized technical excellence and an engaging and proactive culture that sets the firm apart. JK Consulting Group was founded in 2013, and has already proved itself to be a trustworthy partner in the area of outsourcing services. The team consists of seven chartered accountants, two of whom are also ACCA-qualified, and a lawyer. The firm provides advice in a wide spectrum of service areas ranging from corporate registration to financial and tax account management to budgeting and financial planning. The team also has extensive experience working in production, trade, logistics and the medical sector. In addition to Latvian and Russian, all staff members are fluent in English and some in German.